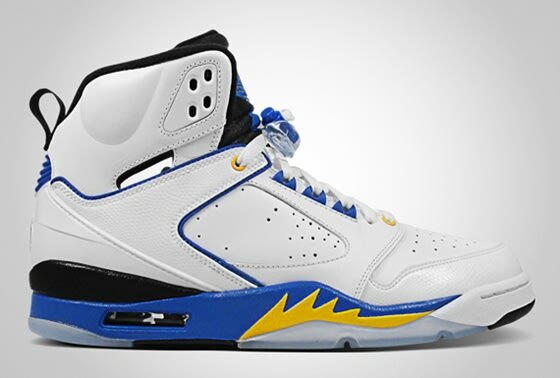 Complex Says: These kicks are inspired by all of MJ’s 60-plus point scoring games. The shoes mash up each model he rocked during these respective games with the opponents's colorways. Money, that's cold. You can find parts of the Jordan I, II, V, & VII included in this shoe as well as colors from the Pistons, Cavs, Hawks, and Magic. R.I.P., defenses.